So if you have directly landed here I would highly recommend to read it first for setup. In this post we will essentially see how can we redirect one URL to other using mvc:redirect-view-controller tag configuration. Basic setup remains the same as that of previous post. NOTE : For this Spring 4.1+ is required! So change your ivy dependency accordingly. All it says is if you get a URL "/oldtest" redirect it to new URL "/newtest" and the 2nd line states if you get url "/newtest" then render view with logical name test which will again render the same JSP test.jsp as per the InternalResourceViewResolver. Notice the redirect with 308 response status. Again notices the 302 response code. NOTE : It is not desirable to use version in xsd declaration. Spring will use highest version in the project's dependencies if version not given. We are going to install Maven 3.3.9. So make sure you have JDK 7 installed. 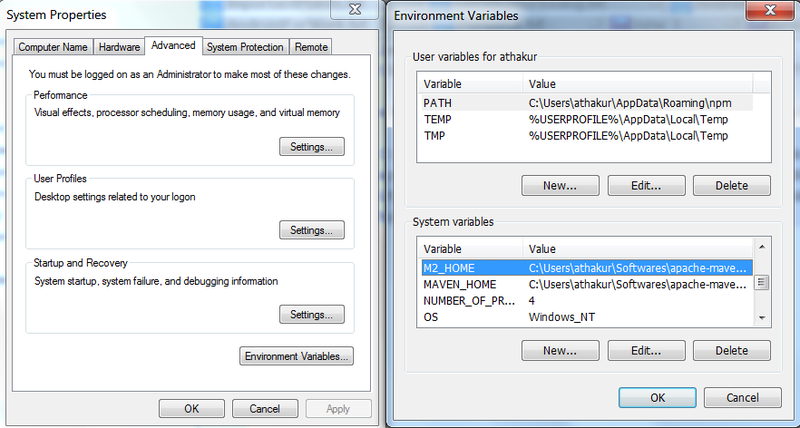 Now add M2_HOME and MAVEN_HOME environment variable and point them to your extracted folder. Make sure your JAVA_HOME is set to JDK 7 as per note below. Finally you can execute mvn -version to see if maven is successful installed. Many time we use custom CSS and java script file to add functionality and style to our web pages. We usually refer them in our JSP pages. 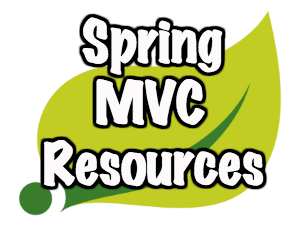 In this post we will see how we can refer such static resources with Spring 3.0+. We will use Tomcat as our container/server. Above post is somewhat old but should give you good idea as to get started. Anyhow I will provide the setup xmls here. As you can see the web application context will scan package com.osfg.test to find Spring resources like handler/interceptor. GO ahead create this package and create a controller in it. Lets call it TestController.java. Add following content to it. That's it. We have our controller all setup. This controller returns a logical view name called test. Now if you notice our spring configuration we have already defined InternalResourceViewResolver which provides a JSTL view. 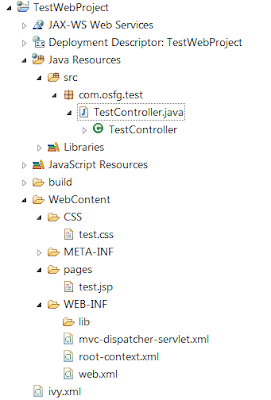 So go ahead and create a JSP file at /pages/test.jsp under webapp or webcontent. As you can see our JSP references a CSS file called test.css. Create a folder called CSS and then create a file called test.cs in it. Add following contents to it. Ok we are all set to test now. Oops! what happened? It is not able to find the CSS file.Well lets come to the point. Spring does not directly allow you to access static resources and the very goal of this post is to show you how. So lets see that now. This basically allows you to render static resources from root folder (under webapp or webcontent). It essentially configures a handler for serving static resources by forwarding to the Servlet container's default Servlet (DefaultServletHttpRequestHandler is used). All good? Yup :) There is also alternate way to do this. You can define resource mapping instead of specifying default-servlet-handler. So when you reference resources it will go and pick up from CSS. 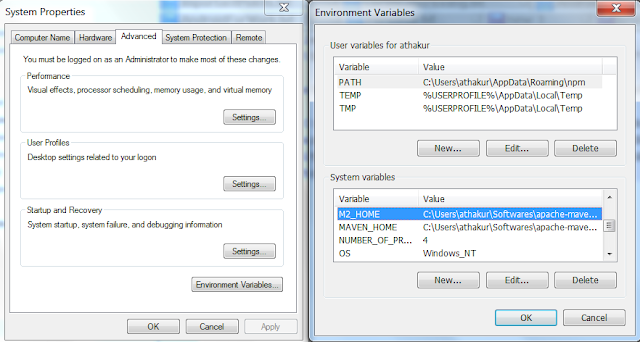 You can use classpath references in location as well. Here ResourceHttpRequestHandler is used to serve request based on location provided. In one of the previous posts we saw method overriding. In case of variables it is slightly different. It is shadowing that overriding. Note : In method overridden return type can be same or subclass of the super class method. Same goes for Exception thrown. Exception thrown by the overridden method can be same or subclass of Exception thrown by method in the super class. However the access modifies for the overridden method should be more strict. To execute queries on IBM DB2 we can use IBM data studio . But if you are already user of SQL developer (using oracle DB) then you can use the same for connecting and executing to DB2 queries. In this post we will see how can we do that. 1. 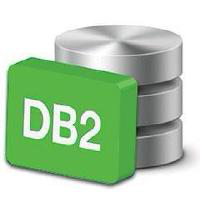 Download the JDBC driver for DB2 (click here). It will be something like db2cc4-4.18.60.jar. 2. Next go to your SQL developer. 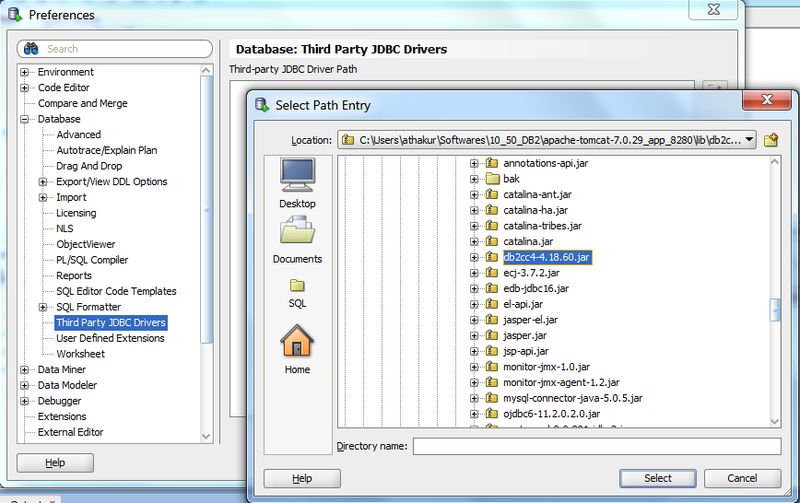 Go to Tools -> Preferences -> Databases -> Third party JDBC drivers and click on "Add Entry". Next select the driver jar you downloaded in step 1. 3. 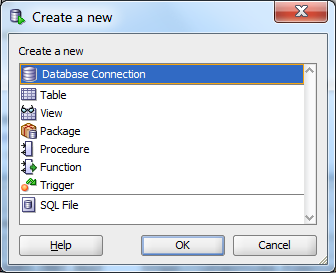 Next go to New (Ctrl + N) and select database connection. Provide details about your connection. 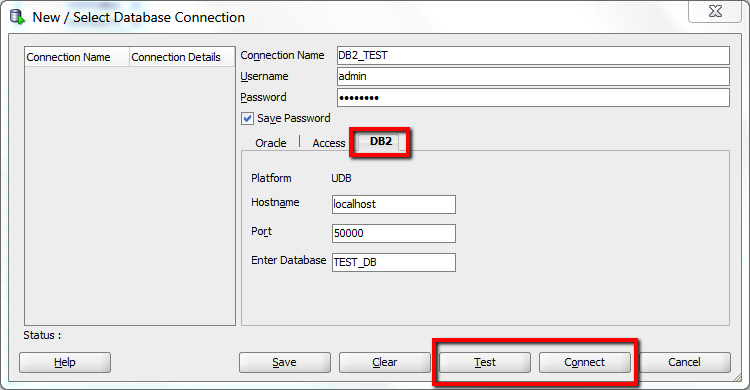 Don't forget to select database type as DB2 rather than oracle (see screenshot) and provide your db details. 4. You can test your connection and save or connect to it. 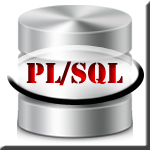 After this you should be good to execute queries on your DB2 database from SQL developer. Instead of athakur on the path it will be your username.